Not yet rated; likely PG. In theaters 11/15. Ok for kids 10+. 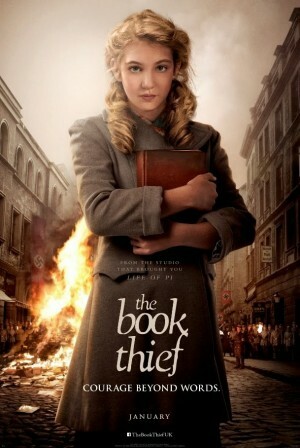 Sophie Nelisse plays a young girl living with foster parents (Geoffrey Rush and Emily Watson) in Nazi Germany who begins collecting forbidden books and sharing them with the Jewish refugee hiding in her home. This touching war drama adapted from Markus Zusak's book is directed by Brian Percival ("Downton Abbey") from a screenplay by Michael Petroni ("The Dangerous Lives of Altar Boys").